If you have an iPad or iPhone you probably know how frustrating it can be to find good healthcare apps. It may feel easier to run a 4 minute mile than find a top quality chiropractic app for your iPad. You have probably found out how hard it is to find any apps which are relevant to chiropractic. There are hundreds of blood pressure apps, steps per day apps, temperature apps, exercise apps, nutrition apps, etc. etc. But, there are very few which are actually applicable to use in your daily chiropractic practice. I want to highlight some of the best app’s which I have experienced so far. 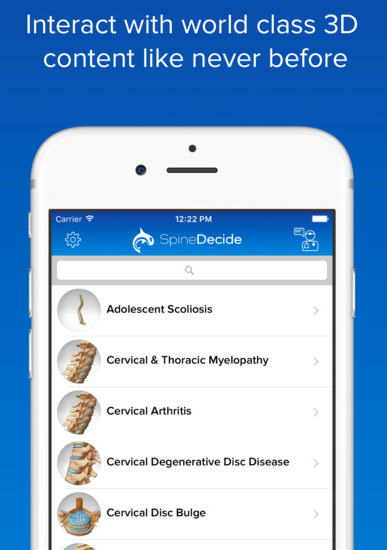 An absolute essential app is SPINE DECIDE. I literally use this application with over 90% of my patients during their report of findings. The graphics are astounding with a crisp and clear presentation that puts charts and handouts to shame. Additionally, the conditions which are “pre-loaded” are perfectly aligned with our practice as chiropractors. This is truly a must have app for your practice. There are even some screens which create the ability to use this as a posture screen app. Quite simply, it's the best patient engagement, and patient education app available in the world. They have actually shown increased patient retention by using their app. Which makes sense. 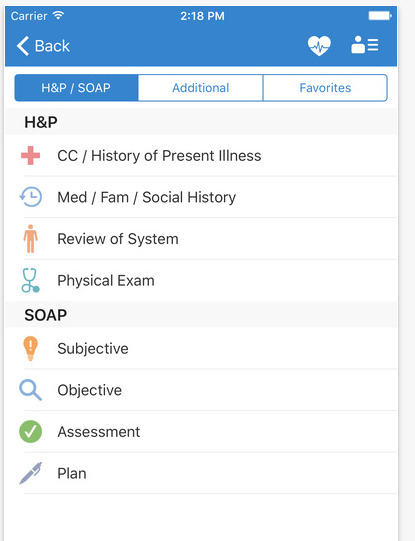 The patient is better educated about their condition, they have beautiful examples, and consistent communication through the app in their email inbox. Now, full disclosure, I have been consulting with Orca Health (the creators of Spine Decide) for a few years. Basically, I have been analyzing their animations and making sure they are awesome, clear, and ready to use in practice. I want their animations to look more real than the dragons on Game of Thrones. Another fantastic app is Omnio. I believe this was developed with Health 2.0 guru Jay Parkinson. Omnio acts a digital medical bag and houses a vast array of content (which would physically fill many large bookshelves) on your iPAD. While I don’t use this application everyday, it is a great tool to have at your disposal. You can custom build your homepage to have a variety of texts and tools at your fingertips. While I use a rather robust EMR due to my practice within a large orthopedic group; I would like to touch on Dr. Chrono. Dr. Chrono is a free EMR application which is extremely flexible and can be built (rather easily) to work seamlessly for chiropractic. To me, Dr. Chrono is simply the best low cost EMR system. It combines tremendous flexibility, advanced functionally, and a relatively simple interface and low learning curve. All of these features make Dr Chrono a great choice not only as an app, but also as a EMR system. I have even built some templates which you can download and use for free! You can click here to get my personal daily SOAP note. What are some of your favorite iPAD applications?